Join Barnes Engineered Components’ (EC) four synergetic brands, Associated Spring Raymond, Associated Spring, Hänggi, & Seeger-Orbis at the Design-2-Part Show in Marlborough at the Royal Plaza Trade Center. EC serves its customers with innovative and precision solutions from automotive to industrial engineered springs, stampings and assemblies that give our customers a competitive advantage in their markets. 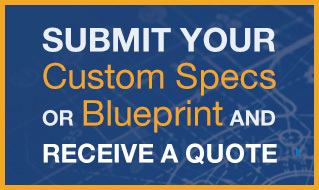 Visit us at booth #342 to discover the #1 US & global supplier of precision engineered custom and catalog solutions. Join Barnes Engineered Components 4 synergetic brands, Associated Spring, Seeger-Orbis, Hänggi & Associated Spring Raymond, at the MD&M East Show. Our world-class brands will be showcasing their medical innovations and technological expertise. With our AS MKE ISO 13485 medical certification and a wide range of MedTech solutions across our brands, visit us to discover our medical innovation portfolio and accelerate your innovations with us. We look forward to welcoming you to our booth # 957. 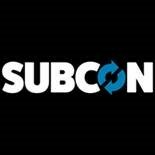 Accelerate your Engineering and Manufacturing Innovations with us: Barnes Engineered Components’ (EC) 4 brands world leading brands: Associated Spring Raymond, Associated Spring, Hanggi and Seeger-Orbis will be exhibiting at SubCon, the UK's premier subcontracting supply chain show . From Automotive to Industrial engineered spring, stamping & assemblies to innovative solutions to enable our customers to achieve a competitive edge in their markets-, you’ll get a complete picture of our unique, synergetic and unrivalled EC capabilities. Join Barnes Engineered Components’ 4 global brands, Associated Spring, Seeger-Orbis, Hänggi & Associated Spring Raymond, at the CTI Symposium USA. Accelerate your success with our DNA of automotive innovations and discover our precision engineered springs, retaining/snap ring, washers & stamping solutions that are vital to the performance of state of the art Transmissions / Drivelines, as well as our world-class Hänggi GDi solutions. Join us at FABTECH Mexico to discover Barnes Engineered Components world-class precision engineered solutions. Our 4 synergetic brands, Associated Spring, Associated Spring Raymond, Hanggi & Seeger-Orbis, will be exhibiting at the FABTECH show. Discover our state of the art portfolio of precision solutions ranging from springs, rings and engineered struts to micro-fine blanked and micro-stamped components for the industrial market. Accelerate your Transmission and Drive Innovations with us: Barnes Engineered Components’ 4 brands including Associated Spring, Seeger-Orbis, Hanggi and Associated Spring Raymond will be exhibiting at TMC2018. The 10th Transmission Symposium China will be held during the Beijing Auto Show, where we look forward to introducing you to our brand synergies, innovative solutions and worldwide manufacturing facilities. Accelerate Your Manufacturing Innovations With Us: Barnes Engineered Components 4 Leading Brands: Associated Spring, Associated Spring Raymond, Hanggi and Seeger-Orbis will be exhibiting at Hannover Messe, the world's largest industrial show. From Automotive to Industrial Engineered Spring, Punch & Assemblies to innovative solutions that give our customers a competitive edge in their markets, you will get a complete picture of our unique, synergetic, unrivaled EC capabilities. With Mexico as this years partner Country, find out what Barnes EC can offer from Mexico and throughout World. We look forward to you visiting our booth; F46 in Hall 5 - Industrial Supply. 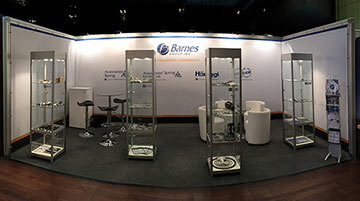 Join us at MedTec Europe and discover why Barnes Engineered Components is the preferred engineered solutions provider. Our 4 global brands; Associated Spring, Hanggi, Associated Spring Raymond and Seeger-Orbis will be exhibiting at MedTec Europe 2018. This will be our first time showcasing our Medical Innovations and technological expertise at the European show. With our AS MKE medical Certification ISO 13485 and with a wide range of MedTech solutions across our brands, visit us to discover our medical innovation portfolio and accelerate your Medical Innovations with us. Accelerate your Aerospace and Defense Innovations with Barnes Engineered Components. Our 4 global brands; Associated Spring, Associated Spring Raymond, Seeger-Orbis and Hänggi will be exhibiting at the AeroDef Show. 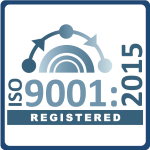 With our AS MKE AS9100 certification for over 10 years and with a wide range of aerospace/defense solutions across our brands, join us to discover our precision engineered solutions. Visit us at Booth #1148 to see how you can partner with a leading supplier for the strategic aerospace and defense industries. Accelerate your time to market with Barnes Engineered Components and it's four world class brands; Associated Spring, Associated Spring Raymond, Hanggi & Seeger-Orbis. 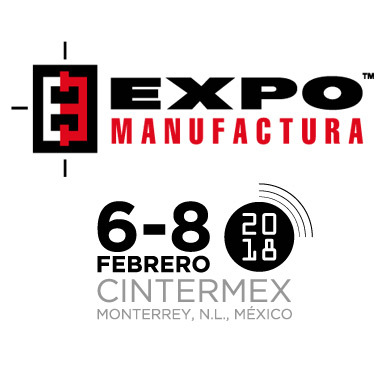 Join us at Expo Manufactura to discover our Industrial Innovation portfolio, covering the Medical, Aerospace and Industrial markets. Discover why we are the preferred Engineered Solutions partner. We look forward to welcoming you to Stand 1642. Accelerate your Medical Innovations with Barnes Engineered Components. Our 4 global brands; Associated Spring, Hanggi, Associated Spring Raymond and Seeger-Orbis will be exhibiting at MD&M West 2018. Showcasing our Medical Innovations and technological expertise. With our AS MKE medical Certification ISO 13485 and with a wide range of MedTech solutions across our brands, Join us to discover our medical innovation portfolio and see why we are the preferred engineered solutions partner. Accelerate your Automotive innovation with Barnes Engineered Components’ 4 brands; Associated Spring, Seeger-Orbis, Hanggi & Associated Spring Raymond, at the CTI Symposium Berlin. Discover our precision engineered spring, retaining/snap ring & innovative stamping solutions for state of art Transmissions / Drivelines as well as our world-class Hanggi GDi solutions. This year we are celebrating our 160th Anniversary for Associated Spring and 100th Anniversary for Seeger-Orbis, so visit with us and celebrate these landmark occasions for our global leading brands. Visit us at Booth #B16 to discover our World-Class Precision Engineered Solutions. Accelerate your Innovations with Barnes Engineered Components’ (EC) four synergetic brands: Associated Spring, Associated Spring Raymond, Hanggi & Seeger-Orbis at the Design-2-Part Show in Marlborough at the Royal Plaza Trade Center. EC serves its customers with innovative and precision solutions from automotive to industrial engineered springs, stampings and assemblies that give our customers a competitive advantage in their markets. Visit us at booth #442 to discover the #1 US & global supplier of precision engineered custom and catalog solutions. Accelerate your Automotive innovation with Barnes Engineered Components’ 4 brands; Associated Spring, Seeger-Orbis, Hanggi & Associated Spring Raymond, at the CTI Symposium China in Shanghai. Discover our precision engineered spring, retaining/snap ring & innovative stamping solutions for state of art Transmissions / Drivelines as well as our world-class Hanggi GDi solutions. This year we are celebrating our 160th Anniversary for Associated Spring and 100th Anniversary for Seeger-Orbis, so visit with us and celebrate these landmark occasions for our global leading brands. Visit us at Booth #4 to discover our World-Class Automotive Solutions. 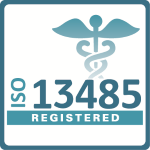 With our recently awarded ISO 13485 Certification, there’s even more reasons to Accelerate your Medical Innovations with us. Celebrating 160 years of Spring Innovations, Barnes Engineered Components’ 4 brands including Associated Spring, Hanggi, Associated Spring Raymond and Seeger-Orbis will be exhibiting at MD&M East. Now in its 34th year, MD&M East has helped take medical devices from concept to market by uniting cutting-edge technology with the industry's foremost minds. Accelerate your Engineering and Manufacturing Innovations with us: Barnes Engineered Components’ (EC) 4 brands world leading brands: Associated Spring Raymond, Associated Spring, Hanggi and Seeger-Orbis will be exhibiting at SubCon, the UK's premier subcontracting supply chain show . From Automotive to Industrial engineered spring, stamping & assemblies to innovative solutions to enable our customers to achieve a competitive edge in their markets-, you’ll get a complete picture of our unique synergetic unrivalled EC capabilities. Barnes Engineered Components’ 4 brands including Associated Spring, Seeger-Orbis, Hanggi & Associated Spring Raymond, will be exhibiting at the CTI Symposium Novi MI show- Booth #43. Discover our precision engineered spring, retaining/snap ring & innovative stamping solutions for state of art Transmissions / Drivelines as well as our world-class Hanggi GDi solutions. We will also be celebrating our 160th Anniversary for Associated Spring and 100th Anniversary for Seeger-Orbis – visit us and celebrate these landmark occasions for our global leading brands. Celebrating 160 years of Spring Innovations Barnes Engineered Components’ (EC) 4 world class brands: Associated Spring, Associated Spring Raymond, Hanggi & Seeger-Orbis will be exhibiting at the Design-2-Part Show in Schaumburg. Accelerate your success with our DNA of Innovation and precision solutions; from automotive to industrial engineered springs, stampings and assemblies to innovative solutions that give our customers a competitive advantage in their markets. Visit us at Booth #242 to discover the #1 US & global supplier of Precision Engineered Custom and Catalog Solutions. Accelerate your Engineering and Manufacturing Innovations with us: Barnes Engineered Components’ (EC) 4 brands world leading brands: Associated Spring Raymond, Associated Spring, Hanggi and Seeger-Orbis will be exhibiting at Hannover Messe, the World’s biggest Industrial Trade Show. From Automotive to Industrial engineered spring, stamping & assemblies to innovative solutions to enable our customers to achieve a competitive edge in their markets-, you’ll get a complete picture of our unique synergetic unrivalled EC capabilities -We look forward to welcoming you to our Stand; G43 in Hall 4 - Industrial Supply. Accelerate your Transmission and Drive Innovations with us: Barnes Engineered Components’ 4 brands including Associated Spring, Seeger-Orbis, Hanggi and Associated Spring Raymond will be exhibiting at TMC2017. The 9th Transmission Symposium China will be held during the Shanghai Auto Show, where we look forward to introducing you to our brand synergies, innovative solutions and worldwide manufacturing facilities. Visit it us at Booth #33/35. Accelerate your Medical Innovations with us: Barnes Engineered Components’ 4 brands including Associated Spring, Hanggi, Associated Spring Raymond and Seeger-Orbis will be exhibiting at MD&M West. For 32 years, MD&M West has helped take medical devices from concept to market by uniting cutting-edge technology with the industry's foremost minds. Barnes Engineered Components’ 4 brands: Associated Spring, Hänggi, Seeger-Orbis & Associated Spring Raymond, will be exhibiting at the 15th International Congress and Expo – CTI Symposium. Discover our innovative precision engineered spring, retaining/snap ring & stamping solutions for state of art Transmissions/Drivelines as well as our world-class Hänggi GDi solutions. We look forward to welcoming you to our Booth #B16. Barnes Engineered Components’ 4 brands including Associated Spring, Seeger-Orbis, Hänggi & Associated Spring Raymond, will be exhibiting at the CTI Symposium China show - Visit us at Booth #4 – at the Shanghai Marriott Hotel Parkview to discover our precision engineered spring, retaining/snap ring & innovative stamping solutions for state of art Transmissions/Drivelines as well as our world-class Hänggi GDi solutions. Barnes Engineered Components with its 4 brands including Associated Spring, Associated Spring Raymond, Seeger-Orbis & Hänggi will also be exhibiting at D2P in Marlborough at the Royal Plaza Trade Center. For over 40 years, Design-2-Part Shows has connected leading US manufacturers with OEM engineers, management and buyers who need their expertise and services. Visit us to discover how we can accelerate your innovations with our precision solutions. Accelerate your Medical Innovations with us: Barnes Engineered Components’ 4 brands including Associated Spring, Hanggi, Associated Spring Raymond and Seeger-Orbis will be exhibiting at MD&M East. The MD&M East Expo and Conference is the largest, most important and comprehensive medical manufacturing event on the East Coast. It’s the gathering point for more than 500 leading medtech suppliers and manufacturers. We look forward to welcoming you to our Booth #1056. Barnes Engineered Components’ 4 brands including Associated Spring Raymond, Associated Spring, Hanggi & Seeger-Orbis, are exhibiting at SubCon 2016. We look forward to welcoming you at our booth #G28. Barnes Engineered Components’ 4 brands including Associated Spring, Seeger-Orbis, Hanggi & Associated Spring Raymond, will be exhibiting at the CTI Symposium Novi MI show- Visit us at Booth #16 –at the Diamond Center at Suburban Collection Showplaceto discover our precision engineered spring, retaining/snap ring & innovative stamping solutions for state of art Transmissions/Drivelines as well as our world-class Hanggi GDi solutions. Barnes Engineered Components with its 4 brands including Associated Spring, Associated Spring Raymond, Seeger-Orbis & Hanggi will also be exhibiting at D2P in Schaumburg. For over 40 years, Design-2-Part Shows has connected leading US manufacturers with OEM engineers, management and buyers who need their expertise and services. Visit us at Booth #240 to discover how we can accelerate your innovations with our precision solutions. Visit us at the TMC Beijing Trade Show (Booth #42.) to discover our precision engineered spring/retaining & snap ring innovative solutions for state of the art Transmissions/Drivelines. Our Barnes Engineered Component Booth/Team will encompass our 4 premium brands: Associated Spring, Seeger Orbis, Hanggi & Associated Spring Raymond offering synergetic solutions that give our customers competitive advantages in the Market. The 8th TM Symposium China (TMC2016) will focus on following topics on ICE, HEV and EV transmissions and drives. From individual components to the complete intelligent factory, as well as topical trends such as energy efficiency, lightweight construction and additive manufacturing – At HANNOVER MESSE visitors get a complete picture of the industrial value-adding chain under one roof - in Hannover and worldwide. Only in Hannover can you find five leading international trade fairs taking place at the same time under one roof. All key technologies and core areas of industry – from research and development, industrial automation, IT, industrial supply, production technologies and services to energy and mobility technologies – can be found in Hannover from 25 to 29 April. Take advantage of all the synergies that HANNOVER MESSE has to offer. 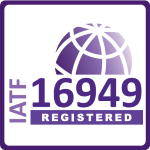 With the USA being the official partner country and Barack Obama at the opening ceremony, this promises to be the industry’s global hotspot in April 2016! In 2014 over 6,500 tons of live working machinery were on display, attracting 23,352 visitors quality visitors representing diverse sectors across the whole of the UK Manufacturing sector. Anaheim, CA - Feb 9-11, 2016 - Visit us at the MD&M West Trade Show to discover our precision spring solutions for the Medical sector. Associated Spring’s team along with our other 3 global leading Barnes Engineered Components (EC) brands: Hanggi, Seeger & Associated Spring Raymond will be at Booth #2876. With a large joint booth comprising all four Barnes Engineered Components’ brands: Associated Spring, Associated Spring Raymond, Heinz Hänggi and Seeger-Orbis appeared jointly for the first time in public . We would like to thank all visitors for coming to our booth and learning about our products/Innovation portfolio. We are looking forward to welcoming even more visitors in upcoming CTI-Symposiums in Novi, MI, USA, in China and in Berlin again in 2016. December 7-10, 2015 - With a joint booth at position "F04" under the umbrella of Barnes Engineered Components, Associated Spring, Seeger Orbis, Associated Spring Raymond and Heinz Hänggi Stanztechnik will present their synergetic engineered precision solutions for the automotive powertrain. September 30-October 1, 2015 - Visit us at the D2P Marlborough (MA) Trade Show to discover our precision spring and stamping solutions. Associated Spring’s team will be in booth #442. September 17-18, 2015 - Visit us at the 4th International CTI Symposium China to discover our precision transmission spring and stamping solutions. Associated Spring’s team will be at Booth #4. June 9-11, 2015 - New York, NY - Visit us at the MD and M East Trade Show to discover our precision spring solutions for the Medical sector. Associated Spring’s team will be at Booth #551. May 6-7, 2015 - Schaumburg, IL - Visit us at the D2P Schaumburg Trade Show to discover our precision spring and stamping solutions. Associated Spring’s team will be at Booth #240. April 13-17, 2015 - Hannover, Germany - Visit us at the Hannover Messe Trade Show (Germany) to learn more about our precision springs and stampings. Associated Spring’s team will be in Hall 4, Stand C66. 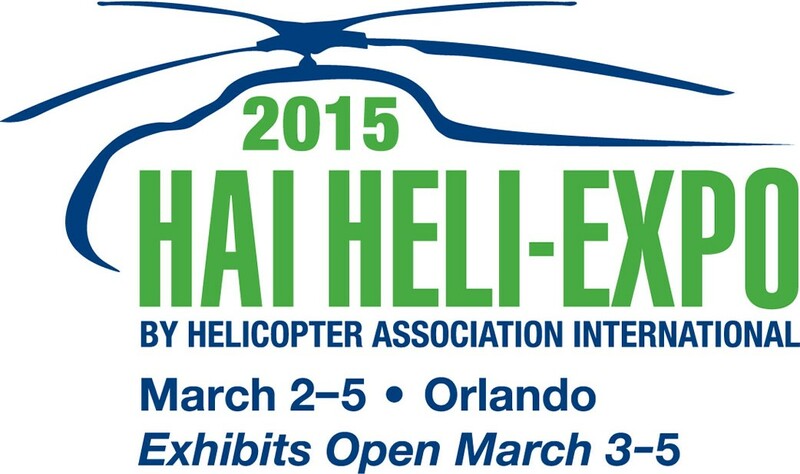 Orlando, FL – March 3-5, 2015 - Visit us at the Heli-Expo Trade Show to discover our precision spring solutions for the helicopter, Aerospace & Defense industry. Associated Spring’s team will be at Booth #2312. Grapevine, TX - Feb. 25-26, 2015 - Visit us at the D2P Grapevine Trade Show to discover our precision spring and stamping solutions. Associated Spring’s team will be at Booth #324. Anaheim, CA - Feb 10-12, 2015 - Visit us at the MD&M West Trade Show to discover our precision spring solutions for the Medical sector. Associated Spring’s team will be at Booth #2876. October 15-16, 2014 - Visit us at the D2P Long Beach (CA) Trade Show to discover our precision spring and stamping solutions. Associated Spring’s team will be exhibiting at Booth #234. October 14-16, 2014 - Visit us at IZB 2014 (Germany) to discover our precision transmission spring and stamping solutions. Associated Spring’s team will be at Booth #37. August 26-27, 2014 - Visit us at the MD and M Brazil Trade Show to discover our precision spring solutions for the Medical sector. Associated Spring’s team will be at Booth #A21.